Want to get to know more about the tech industry? Or get to know more about IOS Application development? Speakers: Honourable guest speakers from Make School, a leader in computer science education offering practical, project-based educational programs that prepare students for the software industry. 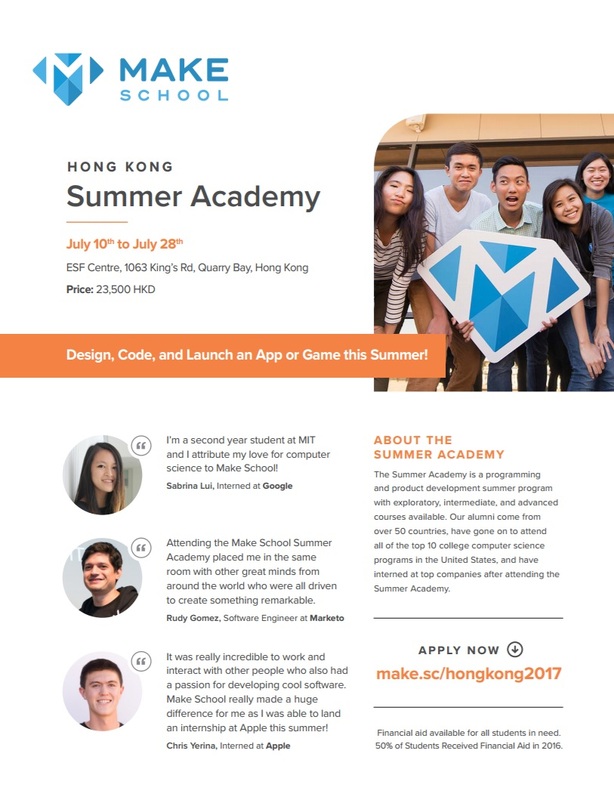 Originated from Silicon Valley, Make School is a leader in computer science education offering practical, project-based educational programs that prepare students for the software industry. We're funded by Y Combinator, 500 Startups and a variety of top tier VC's and angel investors. More information on Make School: https://www.makeschool.com.